PrestaShop is a very powerful, full-featured and ever-evolving piece of ecommerce software. 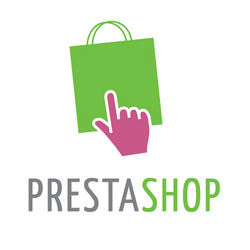 We are proud to offer custom PrestaShop builds for our customers. Our approach to PrestaShop reflects Sproutee’s commitment to growing your business online and every step of the process concentrates on developing a professional, well-functioning and web-optimised online shop. PrestaShop’s import functionality plays an important role in this endeavour. CSV stands for comma separated values. A CSV file looks and acts very much like an Excel spreadsheet, but it is in fact a different beast ‘under the covers’. Where Excel may add hidden ‘macro data’ to your spreadsheet to allow for advanced functionality, a CSV file is more pared down. While a CSV may not have the advanced features of an Excel spreadsheet, it is more appropriate for use with other software and this is why a CSV file is used for PrestaShop imports rather than an Excel spreadsheet. For this reason we recommend the use of Open Office for creation and management of CSV files; Open Office has strong support for CSV and does not add unnecessary macro data which can compromise the integrity of your import file. Why Should I Use a CSV Import File? We’ll explain each of these points in turn. We deliver two environments with our PrestaShop builds; Sandbox and Production. Following industry best-practice for software development, we develop first on our localhost, then deploy and test on a sandbox and only then deploy to the live production environment. In this way, shop owners are able to test changes to their catalog and template on their Sandbox as their shop grows and changes over time. Following this process ensures that changes to the shop behave as expected before going live and that customers’ experiences are not disrupted by untested changes. In the process of setting up these environments we import a batch of test data. This test data is a subset of your shop’s full inventory and by using data that reflects the content that will, ultimately, be live on your Production build, we are able to develop the most accurate picture of the individual needs of your shop. Through the use of CSV imports we are able to upload your shop’s inventory very quickly which helps reduce Sproutee’s labour costs and keep our own prices competitive. Keyword-rich content is core to your shop’s SEO (search engine optimisation). All aspects of your shop’s catalog such as the product names, product descriptions and URLs encapsulate the bulk of your shop’s content. Therefore, the copy used in your catalog is absolutely vital to the SEO of your online shop. We work with you to develop keyword-rich copy for use in your shop’s import files. We discuss with you the type of language that will best support your corporate identity, you share with us the details of your products, categories and so on and we undertake a comprehensive keyword and competitor analysis. This analysis drives our creation of your shop’s copy, which will reflect the ‘feel’ of your brand while being informative and interesting to your customers and, of course, attractive to search engines. The use of CSVs supports our endeavours by allowing us to better ensure consistency across the copy-writing of your shop while further allowing for rapid editing and updating as trends in keywords change over time. Managing your content by CSV is the most sustainable approach to your shop’s content management. On the one hand, CSVs allow you to rapidly update your catalog, adding, deleting and updating your content en masse. On the other hand, import files present other advantages for the growth of your business such as porting your content across many shops; you can set up as many PrestaShop portals for your online business as you have domains and re-use the import files across all your shops! Was this useful for you? Join us on Facebook for more handy tips and tricks! Need more help still? That’s what we’re here for! Get in touch and let us build you a professional and very web-friendly ecommerce solution for your business.